After a boastful, giddy Muslim jihadist from Central Asia gleefully mowed down eight innocents with a rented truck in a Manhattan park on Tuesday, President Trump called for an end to the “diversity visa lottery” program that brought him to America. “We’re so politically correct that we’re afraid to do anything” about the Muslim terrorist threat, the president said at a meeting of his cabinet yesterday. Trump took to social media to fire a broadside at Democrats. Sen. Chuck Schumer (D-New York), who co-sponsored legislation establishing the visa lottery when he was a member of the House of Representatives, deflected in a typically whiny response. “President Trump where is your leadership? The contrast between President Bush’s actions after 9/11 and President Trump’s actions this morning could not be starker,” Schumer said on the floor of the Senate. The United States has been awarding green cards through random games of chance for 20 years. Perhaps spinning a roulette wheel for Supreme Court appointments would ease partisan acrimony in Congress. Maybe the craps table is the logical place to find the nation’s next treasury secretary. It is a fact that the U.S. Department of State has been distributing green cards through visa lotteries since at least 1987. The current Diversity Immigrant Visa (DV) Program, was established by the Immigration Act of 1990, and took full effect in 1995. Like other applicants seeking permanent resident status, a DV applicant must meet national security-related and eligibility criteria to be issued a green card, which entitles the holder to live and work in the U.S. permanently. At a minimum, DV applicants must have a high school education and two years of work experience or work training within the previous five years, and pass an in-person interview. Like other lawful permanent residents of the U.S., individuals admitted under the DV program are eligible to seek U.S. citizenship after a waiting period. Any permanent resident may voluntarily abandon this sought-after legal status by, for example, remaining outside the U.S. for a prolonged period of time, failing to file income tax returns while living outside the U.S., or declaring oneself a “nonimmigrant” on U.S. tax returns. Permanent resident status can be rescinded if the person concerned is found to have committed fraud in the immigration process or is convicted of a serious crime or crimes. Up to 50,000 visas are issued under the DV program annually. Visas are awarded by random selection in select countries to promote immigration from places that don’t otherwise send many immigrants to the U.S. Roughly 1 million green cards are issued by the U.S. per year. In 2016, 45,664 diversity visas were issued. The vast majority of green cards are based on family connections, and other categories include employment-based visas and refugees or asylees. 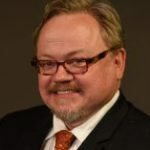 One of the chief defenders of the DV program is the Congressional Black Caucus, which favors it because a lot of people come here from sub-Saharan Africa, explained Mark Krikorian, executive director of the Center for Immigration Studies. At one time, Rep. Sheila Jackson Lee (D-Texas) wanted to double the quota for the program to 100,000, he said. One lucky lottery winner is the newly famous accused truck-driving mass murderer Sayfullo Habibullaevic Saipov, 29, a married father of three who came to the U.S. from Uzbekistan seven years ago and who was known to law enforcement. Truck attacks, by the way, have become an increasingly popular vehicle worldwide for slaying infidels in recent years. Another visa lottery winner from Uzbekistan was Abdurasul Hasanovich Juraboev. In 2015, he pled guilty to a charge of conspiring to provide material support to Islamic State. Plenty of people have been killed in the U.S. by foreign-born terrorists. Saipov himself reportedly became increasingly religious in recent years. His wife has been interviewed by the FBI but it is not known what she said. The FBI released a wanted poster for Mukhammadzoir Kadirov, a 32-year-old Uzbek, yesterday but an hour later located the man. At time of writing, Kadirov had not been identified as a suspect in the attack. On cue mainstream media reports state that people who know Saipov think he’s a wonderful, kind family man who could never do the things he allegedly did. Somehow see-no-evil government officials, always fearful of being accused of “Islamophobia,” failed to detect Saipov’s plot. The suspect was already known to authorities “for his direct ties to other terrorism suspects under investigation,” Patrick Poole reports at PJMedia. The New York Police Department’s counterterrorism division appears to have been hamstrung in its efforts to combat Muslim terrorism. Earlier this year, the NYPD settled a legal case about the force’s counterterrorist Islamic surveillance. Brought to heel by left-wing activists and the mainstream media, the highly effective campaign of the city’s police against jihadists was crippled. The department’s “ability to send informants into mosques was handicapped,” Daniel Greenfield notes. “New York cops were now required to consider the ‘impact’ of informants on mosques after Islamist groups claimed that their presence discouraged mosque attendance,” and its treasured Demographics Unit was shut down. But the wheels of justice are at least turning in the Saipov case. Joon H. Kim, acting U.S. Attorney for the Southern District of New York, told reporters yesterday that federal charges have been filed against Saipov. The two counts in the indictment are material support for a terrorist organization, in this case, Islamic State, and violence and destruction of a motor vehicle with willful disregard for human life. If convicted, Saipov could be executed. 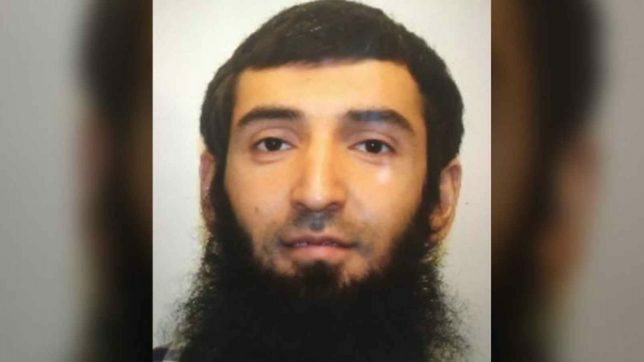 Saipov, who has worked as a driver for Uber and a long-haul trucker, is alleged to have driven a rented Home Depot truck down the Hudson River Greenway bicycle path in Manhattan on Tuesday, running over and killing eight people. Two of the victims were a New York City resident and a cyclist from New Jersey. The other six were tourists. One was a woman visiting from Belgium. Five were friends from Argentina who were celebrating a high school reunion. Another 15 people were reportedly wounded in the attack. Kim said Saipov crashed the truck into a school bus and exited the vehicle wielding a paintball gun and a pellet gun. Saipov also had several knives in the truck and is said to have begun planning the attack a year ago. At some point, Saipov reportedly yelled the jihadist battle cry, “Allahu akbar,” as Daniel Greenfield notes. Those were the final words on the flight recorder for Flight 93, which Muslim terrorists crashed into a Pennsylvania field in the 9/11 attacks. Ringleader Mohamed Atta had urged his fellow 9/11 hijackers to “shout, ‘Allahu Akbar,’ because it strikes fear in the hearts of the infidels.” Saipov also allegedly left a note behind in the truck. Islamic State “would endure forever,” it read, according to investigators. A search of cellphones in a bag Saipov was carrying yielded thousands of Islamic State-related images, including about 90 videos depicting Islamic State fighters killing prisoners by running them over with a tank, beheading them, and shooting them in the face, Kim said. On October 22 Saipov rented a truck to practice his planned assault, he added. According to court documents, Saipov has acknowledged he acted in response to Islamic State’s online calls to attack non-Muslims and chose Halloween for his rampage to maximize the body count. He reckoned many people would be out in the streets. In the hospital recovering from being shot by police officers, Saipov requested that Islamic State’s flag be displayed in his room. He said “he felt good about what he had done,” according to prosecutors. Saipov reportedly waived his Miranda rights and confessed to his crimes, gloating about what he did. But there were already plenty of red flags about the suspect. Saipov is a resident of Paterson, New Jersey, an area “known to the locals as ‘Paterstine’ for its sizable Islamic community … where the PLO terror flag flies over City Hall and where Islamic terrorist sympathizers celebrated after their compatriots murdered thousands on 9/11,” Daniel Greenfield reports. “Paterson is also where 6 of the 9/11 hijackers lived,” he adds. The left-wing political establishment in New York State won’t do anything about the terrorist threat. Cuomo knows about the danger but he prefers to hide behind “diversity” and feel-good multiculturalist mantras. After President Trump issued an executive order temporarily banning visitors from selected terrorist-infested Muslim-majority countries, the governor who has long lusted for the presidency, delivered a speech in February demagogically blasting Trump for his supposed animosity to adherents of the Religion of Peace. It was an award-worthy performance that is getting Americans and tourists killed. Meanwhile, President Trump has also said he would consider designating Saipov an unlawful enemy combatant and sending him to the terrorist detention center at the U.S. military base in Guantanamo Bay, Cuba, rather than processing him through the domestic criminal court system. Sen. Lindsey Graham (R-South Carolina) agrees. President Trump supports a bill co-sponsored by Sens. Tom Cotton (R-Arkansas) and David Perdue (R-Georgia) that would shut down the DV program and eliminate various categories of family unification-based immigrant visas. The legislative reforms would also introduce a rational, merit-based point system for employment-based visas tilted towards highly skilled, highly educated, individuals who speak English. Commentator Tomi Lahren notes that from September 11, 2001, to 2015, nearly 1.8 million green cards were issued to nationals of Muslim-majority countries. We’ve got radical Islamic terrorists ready, willing, and honored to kill us on planes, trains and automobiles with knifes, guns, explosives and trucks. And we’ve got federal judges, top Democrats, and bleeding heart kumbaya liberals placing Islamic sensitivity, diversity options, and political correctness over reality, American lives, and national security. We can only pray President Trump’s counter-measures are not too late.